In 2007, the Adler Planetarium and the UK’s Oxford University founded Zooniverse—the world’s largest and most successful platform for people-powered research. With more than 1.5 million registered users around the world, Zooniverse connects everyday citizens with researchers to help classify galaxies, find new planets, explore the surface of the Moon, and complete dozens of original projects in astronomy, biology, science, and the humanities. Thanks to the Adler’s Citizen Science department, science teams are able to analyze large data sets with a high level of accuracy in a matter of weeks or months (that would otherwise take over 100 years!) with the help of a worldwide network of volunteers. The Adler Planetarium is grateful to the Alfred P. Sloan Foundation for supporting Zooniverse initiatives. Anyone Can Be a Citizen Scientist—Even You! At the Adler, we love to remind people that science is not just what we know—it’s how we discover what we know. That’s why we encourage everyone to make new discoveries of their own by becoming a citizen scientist. No specialized background, training, or expertise is necessary to participate in any Zooniverse project. You can contribute to real academic research from anywhere with an internet connection—here at the Adler, out with friends, or from the comfort of your own home! 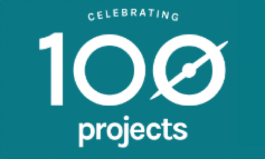 Galaxy Nurseries: The 100th Zooniverse project! Help improve our understanding of young galaxies and improve detection algorithms by classifying detections as real or bogus. Join the search for planet forming disks to gain new insights into stellar evolution. Astronomers need your help to discover supermassive black holes. Help scientists explore the surface of Mars by measuring dust features on the planet’s surface. Planning a trip to the Adler? Tap into our free WiFi and get involved while you’re here! Check out a couple of related projects below. Learn about dwarf worlds from Mike Brown and his team at CalTech during our Planet Nine sky show, then continue the search for the possible new ninth planet on your own by joining Backyard Worlds: Planet 9. Investigate diverse and beautiful objects from deep space in ultra-high resolution via the world’s most advanced telescopes in The Universe: A Walk Through Space and Time, then help discover new planets orbiting other stars in our galaxy with Exoplanet Explorers.